UF Anesthesiology has several innovative educational programs that allow residents to conduct research, lead or participate in safety and quality projects, rotate outside normal channels, and transition to practice. One Gravenstein Scholar is selected per year based on a demonstrated interest and passion for academic medicine. 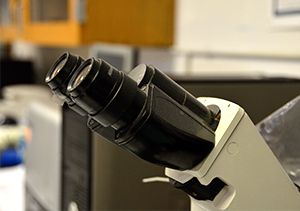 The department arranges a flexible 5 year program that provides up to 18 months of protected research time, mentors within and outside of the department, financial support for research, and a small salary stipend. There is a separate listing in ERAS for candidates interested in this program. Elective rotations are available at either of two premier teaching hospitals in Orlando, described below. Additionally, our residents have participated in the ABA Anesthesiology Policy Research Rotation in Political Affairs, and have developed and conducted their own specialized rotations after program and ABA approval. Residents on obstetric anesthesia rotations may elect to go to Winnie Palmer, a 285-bed hospital facility that provides complete women’s care from obstetrics and high-risk births to gynecological services and is one of the largest birthing centers in the United States. Residents on pediatric anesthesia rotations may elect to go to Arnold Palmer Hospital for Children, which has a 17-bed Pediatric ICU unit in addition to the 33-bed Bert Martin’s Champions for Children Emergency Department and Level 1 Pediatric Trauma Center, the only one of its kind in Central Florida. Other outside rotations, such as humanitarian, research or academic electives, may be approved on a case-by-case basis. Our residents are critical members of several hospital-wide committees, and either lead or participate in teams to improve patient safety and quality of care. Pediatric NPO – Tim Replogle, MD (CA-3, Chief), addressed the issue of making all pediatric patients NPO past midnight regardless of type and time of surgery, age, or inpatient/outpatient status. He also developed new guidelines and a new order set in our electronic medical records system. Intra-Op Reports/Simple TOC – Cole Dooley, MD (CA-3); Daniel Hernandez, DO (CA-3); and Devon Cole, MD (faculty) developed a method to use our electronic medical records system as an OR-ICU handoff tool to improve communication from OR to ICU. Air Embolism Training Module – Morgan Mathie, DO (CA-3), and Linda Le-Wendling, MD (faculty) developed an interactive online module to train housestaff to manage air embolism. Badge Buddies – Morgan Mathie, DO (CA-3), compiled a list of frequently used phone numbers that is carried in the doctor’s ID badge for easy retrieval. Post Epidural/Interthecal Narcotic Orders – Yury Zasimovich, MD (CA-3, Chief), is addressing the risk of narcotic-induced respiratory depression by developing a new General Surgery order set ensuring that patients who received epidural/interthecal narcotics in the OR do not receive narcotics for up to 24 hours after administration of neuraxial narcotics. Infusion Pump Occlusion Alarm Reduction – Amelia Fiastro, MD (CA-2), Greg Goldenhersch, MD (CA-1), David E. Lizdas, BSME (staff), Samsun Lampotang, PhD (faculty), and Nikolaus Gravenstein, MD (faculty), are developing a process for patients to correct occlusions to reduce the frequency of IV tubing occlusion alarms. IRB approval has been given for a phase 1 trial with actual patients. Rapid Transfusion Tutorial – Ryan Brown, MD (CA-1), and Mark Edmiston, MD (faculty), developed a step-by-step tutorial on how to set up the rapid transfusion device. Preop Revision: Surgical Consent on Chart/Patient Knowledge of Surgical Procedure – Nawar Al-Rawas, MD (CA-2), Basma Mohammed, MD (CA-2), and Sarah Campbell, MD (CA-2), updated the preop order set so that GI add-ons are integrated into the preop schedule. CA-1 Tutorial: An Introduction to Basic Anesthesiology was compiled by our 2012 CA-1 class and distributed to the new CA-1 class during the 2013 New Resident Orientation. This notebook is filled with detailed chapters on airway anatomy and devices, ASA monitoring, inhalation anesthetics, and many other important topics for CA-1s. The current Transition to Practice (TTP) rotation is a 2 month ACGME-approved Innovative Program where CA-3 residents comprise a 4 resident team working in a simulated private practice. 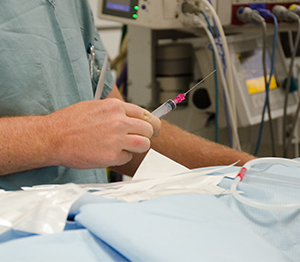 Each day, one resident functions as the manager and assigns the daily workload to the other team members and works with all CRNA/AAs to develop and implement anesthetic plans. From the lessons learned during this unique rotation, we are developing new methods to prepare senior residents for practice. One example currently being evaluated is the AOD (Anesthesiology Officer of the Day) rotation. This rotation gives our advanced residents the opportunity to improve non-technical skills such as task management, teamwork, situational awareness and decision-making. They will be expected to simultaneously incorporate social, clinical and textual information on their patients, while organizing the operating room and facilitating the work of other members of the healthcare team.